Event Management System is software that is a great innovation in Management field. EMS have made new way of organizing & managing events. EMS software covers all major functions in event planning life cycle. It offers facilities of online registration, budgeting, booking, events history, exhibitors/sponsors/speakers management. The product market-driven approach is deliberately designed for the events industry. Event Management System is all about covering a function online, that’s included the advertisement of the event, registration, coverage of event & after execution survey and feedback about the event. The Event Management System software is fully outfitted with all the features & sub modules that make it extraordinary. Their single databases for gathering all core actions make its accuracy in reports generations. 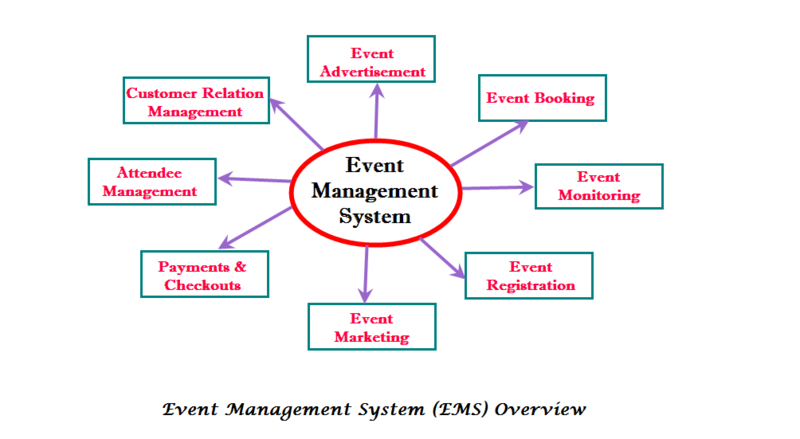 Event Management System provides you user friendly & cost effective properties for events managements. Because of a large number of sub module’s integration in EMS, organizations can customize these sub modules as per their demands. So we can conclude that Event Management System has customized lots of activities related to the event life cycle in a single database system. These technology advancements in management, industry are appreciated able. And the companies that are adopting these changes are making their survival un-extinct. At last we can say that EMS application is best in its own way of providing a new edge to management industry. These changes are not only recommendable in their features, but also booming new traditions of raising income growth.